The gunmen responsible for the shoot outs at the Aurora, Colorado theater; the Sandy Hook Elementary School in Newtown, Connecticut; and anyone else who would take another’s life without moral or legal justification. NOTE: All categories and the names within them are alphabetical, except the last. Hello Everybody. Your humble Editor-In-Chief Lee Houston, Junior here. Autumn the Puppy and Waxy Dragon have the holiday weekend off, so it's up to me to entertain you for a few minutes. With New Year's Eve drawing near, it's easy to let your mind wander and reminisce. I was born in 1962, and grew up with some great television. Captain Kangaroo, Cadet Don, Kitirik, Jonny Quest, Herculoids, Space Ghost... I think you get the idea. Television started out in glorious black and white, and while color sets were available in the 1960s, they were kind of expensive for the average person until the 1970s. So imagine seeing the original Star Trek or the Adam West version of Batman in black and white. For some reason, it seemed like a big deal when your family was able to make the switch. Yet today color is common place and seeing something like Casablanca or The Three Stooges in black and white is the "oddity". From Star Trek to this! Pay phones inside phone booths were common place until the early 1980s, and then started getting phased out as cellphones caught on. 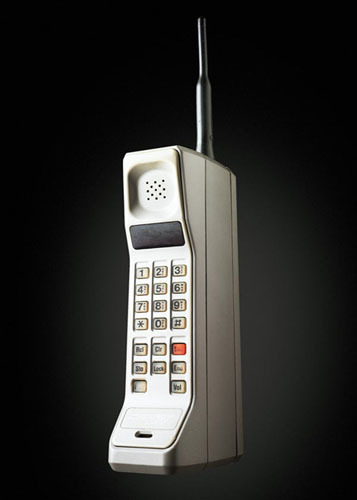 Yet the first cellphones were larger than a paperback book size wise! Computers were HUMONGOUS machines that filled whole rooms, while using punch cards and magnetic tape to store data. Now they're smaller than books and use flash cards and more internal memory than even the Human brain might have! I could go on about how, unless they have family that remember those "ancient" times, today's generation(s) have no idea what a manual typewriter is, realize that CDs replaced vinyl records, photographs were not always digital, and a whole host of other things. 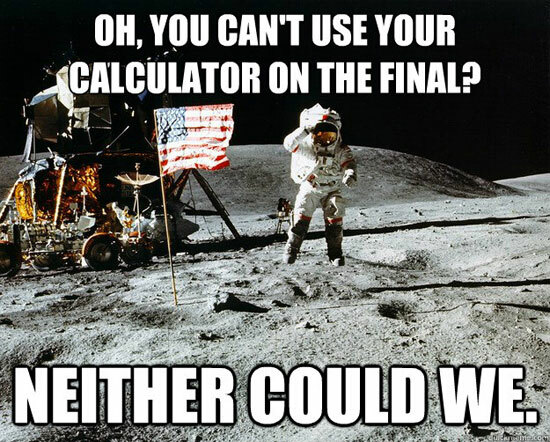 1 + 1 = 2 regardless of the device used. Now don't get me wrong. A lot of today's technical marvels are fantastic compared to what they replaced. But progress seems to come with a loss. Once upon a time, my generation could play on the sidewalk or walk to the corner convenience store without worry of being kidnapped or shot at. 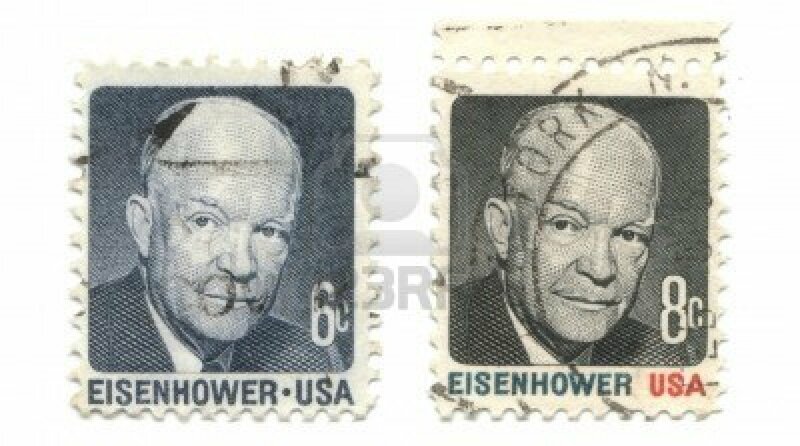 Once stamps were just edited to reflect price increase instead of creating new ones! We used regular "snail mail" to communicate with each other long distance, and the post office was run a LOT more efficiently than it is today. In the past, it was scandalous when the cost of mailing a letter went from six to eight cents! 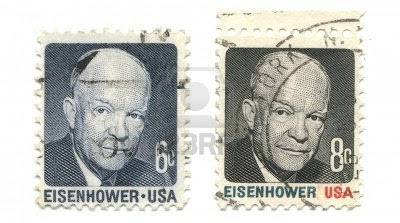 Yet now the cost of the stamp may rise as high as fifty cents, and the post office is still considering doing away with Saturday deliveries to save money! And this is considering that once, depending upon where you lived, you might have gotten both a morning AND afternoon delivery if you were within the inner city limits. Were things ever THAT inexpensive? And then there is the price on just about everything. When I was a kid, a comic book would cost you twenty cents for twenty pages of story and art, usually two tales per issue, with a letters column too, so you could see what other readers thought about past issues. 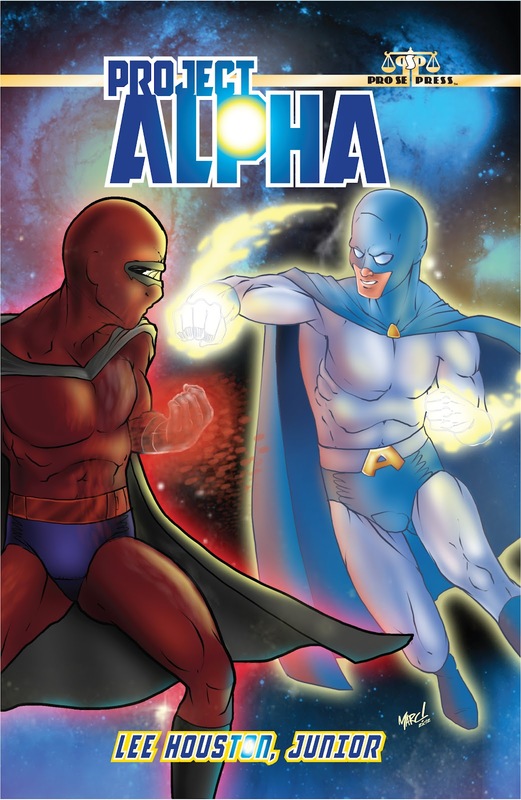 Nowadays that same comic book is at least $2.99 for the same twenty pages, although most no longer have a letters column and the story usually ends with those dreaded words: TO BE CONTINUED. And have you noticed how the prices on some things might be staying the same, but you are no longer getting the same amount you used to? Maybe I'm just feeling my age today with the end of another year approaching, a foot of snow on the ground, and a howling wind blowing the dust around while I stay safe and warm inside. But this is the Sunday Funnies, although you folks can see why I prefer to leave the comedy to the puppy and the dragon. So let me end this column on a high note. 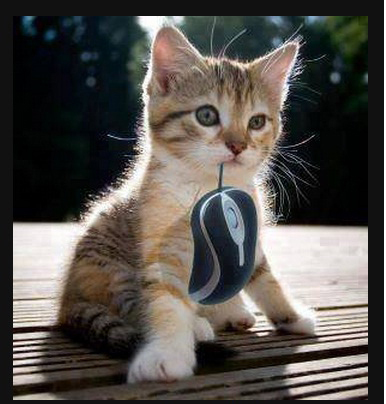 You can never go wrong with a funny cat picture! Here's hoping your 2013 is filled with happiness and a bright warm future. And don't worry folks, the ladies will be resuming their regular duties next weekend, for more Sunday Funnies. Editor-In-Chief, The Free Choice E-zine. *For the first time in our history, the Free Choice E-zine has been honored with over 2000 page views (readers' visits), within a single month! December 2012 is also the fourth consecutive month of this establishment having more than 1000 page views and the fifth overall within this e-zine's career! *The "fiscal cliff" grows near for the United States government. If Congress cannot agree on a new budget by the last second of 2012, preprogramed budget cuts and an automatic tax hike of up to $2500 for the average citizen take effect. The problem? Republicans still want to preserve the George W. Bush era tax cuts for the wealthy, a position Democrats have been opposed to since Day 1. *A 17 year old India girl committed suicide after being raped instead of giving into pressure by local police to marry her attacker! Meanwhile another lady in India, who was gang raped on a bus in Delhi, has passed away from injuries sustained during that attack. *China has officially opened a high speed rail route between Beijing and Guangzhou. *Park Geun-hye has been elected as the first female President of South Korea. Meanwhile, that country's Defense Ministry claims North Korea's recent satellite launch was actually a missile test in disguise. *Technically Egypt has adopted a new constitution, but those opposed to it are raising questions of voter fraud and violations that need to be investigated. *Former US President George H.W. Bush is recovering from his recent hospital stay. *Former South African President Nelson Mandela is receiving at home care after a recent hospital visit. *NASA hopes to turn an asteroid into a space station for future astronauts traveling between the Earth and Mars by 2025. *Civil unrest continues in Syria, Afghanistan, the Central African Republic, and Northern Mali. This past week, the world has lost actor Jack Klugman (The Odd Couple, Quincy, M.E. ), actor Charles Durning (The Sting, Dog Day Afternoon), Gerry Anderson (executive producer Thunderbirds, Space: 1999), and retired US General Norman Schwarzkopf (the Gulf War). On New Year's Eve, the Free Choice E-zine will be presenting its annual IN MEMORIUM list of those who have left us this past year. For more news at anytime, either scroll down to our IN OTHER NEWS feature at the bottom of your screen or visit any other reputable news source. Well folks, the end of the year is upon us, meaning this is the last Puzzle Corner of 2012. But don't worry, we got a lot of new enigmas planned for 2013 and beyond! In the meantime, let's finish out the year with these puzzles. Last week we sought out words in CHRISTMAS (answers below). Now let's see how many words can be found within NEW YEAR. We'll reveal all the first weekend of 2013, which is just a week away folks! Meanwhile, let's peek inside the remains of the unwrapped ANSWERS BOX and discover the results of the December 22 Puzzle Corner. Our tree may be decorated, but there is NO L! Besides the 132 words listed above, Chris, Christ, and Sam might be eligible, depending upon your position of counting names in a game like this. Other words might be possible. 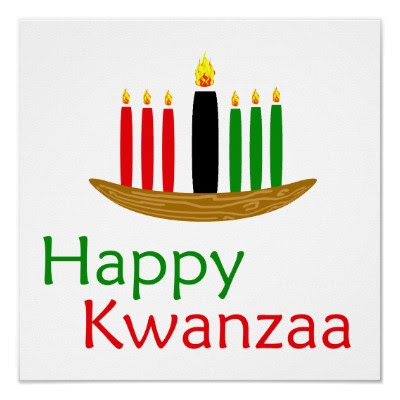 From The Free Choice E-zine and its staff. I do not "bark" Jingle Bells! Hello Everybody. Autumn the Puppy here, along with Ms. Waxy Dragon and our Editor-In-Chief Lee Houston, Junior for The Free Choice E-zine's annual Christmas office party. AUTUMN: Hey, Waxy. Why are there lots of uncooked eggs all over the food table? I thought I asked you to get egg nog for the party. Wants Dark Chocolate for Christmas, what else? WAXY: I tried Autumn. I could find eggs in every store, but I could never find any nog. AUTUMN: Hey chief. This is supposed to be a party. Let's just kick back and relax for once. Okay? LEE: Okay. I'll try. But I do have one question. Why am I hearing The Chipmunk Song for like the 22nd time since this party started? WAXY: I thought you loved the song. LEE: I do. It's a pleasant memory from my childhood. WAXY: That's why I have it playing on a continuous loop. LEE: Waxy, I appreciate the gesture, but let's go on to some other Christmas tunes. Okay. AUTUMN: So while we kick back and relax a bit, here are some Christmas themed jokes. What do reindeer say before telling a joke? "This one will sleigh you!" Would a survey conducted in the Arctic be a North Poll? "I am NOT a mutant!" Where does Santa find his reindeer? It depends upon where he left them last. What do Santa's elves do after school? LEE: Say Autumn, do you write a letter to Santa Claus or Santa Paws? AUTUMN: Being a smart dog, both. I figure it's best not to bite any hand that might feed me. What do reindeer have that no other animal does? Why does Santa Claus go down chimneys? Why is Christmas always cold? LEE: Well, it's time to wish everybody a Merry Christmas. WAXY: Wait. What does Santa Claus' wife have to do with this? AUTUMN: What do you mean Waxy. WAXY: Mrs. Claus. Merry Christmas! AUTUMN & WAXY (together): Just say good night Lee. HAPPY HOLIDAYS FROM EVERYONE AT THE FREE CHOICE E-ZINE, AND THE SUNDAY FUNNIES WILL RETURN NEXT WEEKEND. TAKE CARE. For those unaware of the outcome, the final score from yesterday's potential end of the world prediction is WORLD = 1, MAYANS = 0. *Memorial services and funerals have been held for all the innocent victims of the Sandy Hook Elementary School tragedy. *Park Geun-hye has been elected the first female President of South Korea. *Shinzo Abe has been elected the new Prime Minister of Japan. *Egyptian citizens are voting upon ratifying a new constitution. *Time magazine has named United States President Barack Obama as its 2012 Person of the Year. *Meanwhile, President Obama has nominated Senator John Kerry to replace Hilary Clinton as Secretary of State. Mrs. Clinton has said that she would resign in January 2013, regardless of who won the US Presidential Election in November 2012. *The cancellation of any professional hockey games held by the National Hockey League has been extended to mid-January 2013, due to the ongoing lockout; although fans are not holding out hope for the remainder of the season. This is the last weekend BEFORE Christmas, so let's break out some classic enigmas. 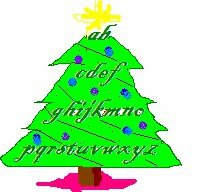 How many new words can you form out of the letters in the word CHRISTMAS? Something quite timely is represented by the image below. Do you know what it is? But for now, let's open the gift wrapped ANSWERS BOX, and discover the results of December 15's Puzzle Corner. Scrooge McDuck's first ANIMATED appearance was actually in an educational short entitled Scrooge McDuck and Money, released in 1967. In all honesty, I thought it was playing his namesake in the 1983 release Mickey's Christmas Carol. 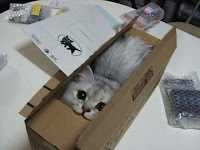 Requires at least 3 weeks for shipping on time. 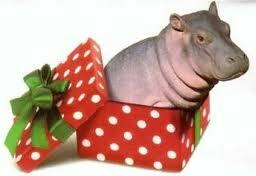 I Want A Hippopotamus For Christmas, as originally sung by Gayla Peevey. Contrary to urban legend, the song was NOT originally recorded as a means for a local zoo to raise money to acquire a hippopotamus, but has been used in that capacity since its 1953 release. Since the tragedy that befell those innocents at the Sandy Hook Elementary School last Friday, there have been many conflicting reports of just what happened, and why. At first the gunman's motive was to kill his mother in a vendetta to wipe out his family before taking his own life. Now, while the mother was still a potential target, she was killed in her home and his motives for targeting the school are uncertain as I post this. Originally, the gunman was allegedly buzzed in before his true motives were known. Now, it has been revealed that he physically forced his way into the school before his tour of violence began. Authorities are still investigating the situation, trying to get the details and motivations exact. The mother's background is now being investigated, for she was in possession of several weapons herself. The Free Choice E-zine will NOT be posting the names of any of the victims, for their families need their privacy to grieve and mourn their tragic losses; but we do salute and honor the heroic efforts of the teachers who managed to save lives, in some cases at the cost of their own. Also, this establishment will NOT be posting the name of the gunman, for we do not see the point in glorifying villains. SUNDAY FUNNIES: HERE WE COME A'CAROLING! Here we are once more, Ms. Waxy Dragon and Autumn the Puppy, to discuss more fun Christmas Carols. WAXY: So, I'm Getting Nothing For Christmas? 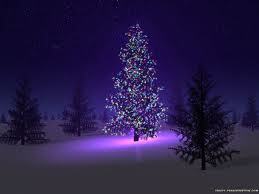 WAXY: No, that's a Christmas song originally recorded by a group known as The Peter Pan Players. AUTUMN: Oh. Well then, we definitely have to include All I Want For Christmas Is My Two Front Teeth by Spike Jones and His City Slickers. Special Delivery Charges May Apply. WAXY: Then, I Want A Hippopotamus For Christmas. AUTUMN: Be reasonable. It would never fit down the chimney. 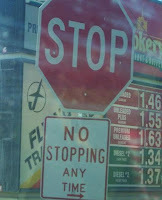 WAXY: No. That's a song first recorded by Gayla Peevey. AUTUMN: I was just kidding. But I wonder how the song would sound if it was recorded by Pauley Perrette? WAXY: You mean the actress who plays Abby on NCIS? That would be interesting, since her character has a stuffed hippo named Bert on the show. AUTUMN: Well, All I Want For Christmas Is You by Mariah Carey should definitely be on the list. WAXY: Oh? Is there a special someone in your life? AUTUMN: There could be, if Snoopy ever returns any of my e-mails. Meanwhile, there are so many more songs to consider. WAXY: I know. Like the whole soundtrack to How The Grinch Stole Christmas. AUTUMN: Definitely the original animated special. All the song lyrics were written by Dr. Seuss himself and sung by Thurl Ravenscroft. WAXY: The original voice of Tony the Tiger for Kellogs. AUTUMN: "You're A Mean One, Mister Grinch!" WAXY: "Christmas Time is within our grasp, so long as we have hands to clasp." AUTUMN: That reminds me. We also have to include the music from A Charlie Brown Christmas. WAXY: I have the Vince Guaraldi Trio CD and play it every December. AUTUMN: Me too. Especially the Peanuts theme: Linus and Lucy. WAXY: What else should we plan to play? AUTUMN: Like you said last week. There's just so much good Christmas music. Like White Christmas by Bing Crosby. The Little Drummer Boy by the Vienna Boys Choir. AUTUMN: Definitely the Eartha Kitt original for that one. AUTUMN: Let's just grab all our Christmas CDs and take them to the party. AUTUMN: So join us here next Sunday folks for The Free Choice E-zine's annual Christmas Party, right here on The Sunday Funnies! 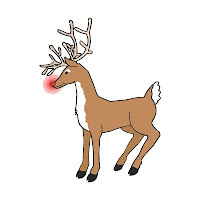 WAXY: Have a great week everyone, and don't get run over by any reindeer! If you have never heard any of the songs mentioned in this column, just go to You Tube and enter the song title in the site's search box. The details of exactly what happened are still unfolding, but seven adults and twenty students were killed at the Sandy Hook Elementary School in Newtown, Connecticut December 14th. A lone gunman broke into the school to kill his mother as part of a vendetta to wipe out his family before killing himself. The thoughts and prayers of The Free Choice E-zine's staff go out to everyone affected by events at the Sandy Hook Elementary School December 14, 2012. * Seven adults and 20 students at the Sandy Hook Elementary School in Newtown, Connecticut lost their lives when a lone gunman broke into the school to kill his mother as part of a vendetta to wipe out his family before taking his own life. *The musical group Los Lobos celebrates their 40th anniversary this month. *"The Tallow Candle" an until now unknown early work of author Hans Christen Anderson, has been found in Denmark. *The National Hockey League has officially canceled all events for the remainder of 2012, due to the unsettled players/owners lockout. *Sitar artist and classical composer Ravi Shankar, has passed away. *For those interested, it has been revealed that Sir Paul McCarntey's performance fee for the 2012 Olympics in London, England was just One Pound. He originally offered to perform for free, but legal regulations would not allow him to do so, hence the token gratuity. *Civil unrest continues in Afghanistan and Syria. The Free Choice E-zine would like to thank its readership for we have broken 1000 forum views for the fourth straight month! This week as part of our annual Christmas season enigmas, we have not one, but TWO new puzzles for you! A Christmas song is represented by the image below. Do you know what it is? Long time comic book and Disney fans know that Scrooge McDuck's first comic book appearance was in the Christmas classic "Christmas on Bear Mountain" by Carl Barks. But do you know what Scrooge's first ANIMATED appearance was? HINT: It was EARLIER than the Duck Tales TV series! We'll reveal all next weekend. But for now, let's peek inside the gift wrapped ANSWERS BOX, and discover the results from our December 8 Songwriter's quiz! The number in parenthesis was if more than one person was involved. 10. Rudolph The Red Nosed Reindeer, Rockin' Round The Christmas Tree, AND A Holly Jolly Christmas = Johnny Marks wrote all three! 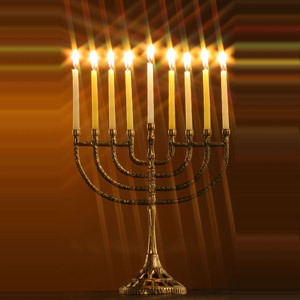 For those amongst our readership who celebrate the Festival of Lights, HAPPY HANUKKAH! Hello Everybody, Autumn the Puppy AND Ms. Waxy Dragon here to share with you some of our favorite Carols of the Christmas season. WAXY: Right you are Autumn, and one of my favorites is Rudolph the Red Nosed Reindeer. The comeback story of Names, a poor little reindeer who makes good despite how Olive always picked on him. AUTUMN: Waxy, what are you talking about? WAXY: Well, it's right there in the song. "Olive, the other reindeer, used to laugh and call him Names." AUTUMN: Well, at least it's not Grandma Got Run Over By A Reindeer. WAXY: What? When did that happen? AUTUMN: No Waxy, it's a comedic carol by Elmo and Patsy. WAXY: The cute, red furred Muppet? AUTUMN: No Waxy. A different Elmo. Anyway, the video clearly shows Grandma safe and sound at the end. But a lot of people got upset when the song first started playing on the radio. WAXY: I have no idea why. After all, Santa would never do such a thing. Anyway, another of my personal favorites is The Chipmunk Song. AUTUMN: A perennial favorite for young and old alike. WAXY: Do you think Alvin ever got his hula hoop? AUTUMN: I'm sure he has by now. I know he loves his harmonica. 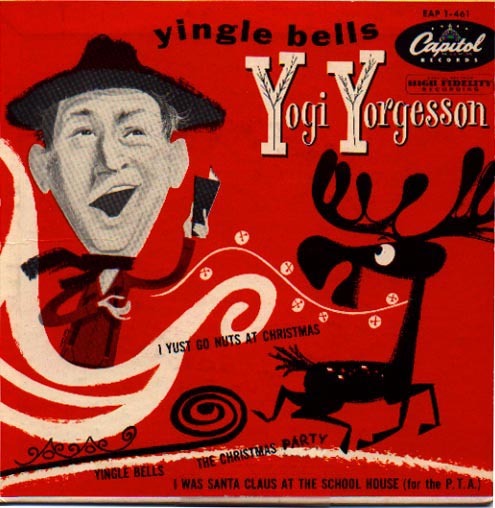 And I also know of Yogi Yorgesson. AUTUMN: Yogi was one of the many characters portrayed by a comedian named Harry Stewart, who was big back in the 1940s and 1950s. Two of his best holiday routines were Yingle Bells and I Yust Go Nuts At Christmas. AUTUMN: Yes, they are. I'll play them for you after we're done here. WAXY: But there's just so many great Christmas songs. Like Rosemary Clooney singing Suzy Snowflake. Captain Kangaroo reading the story of The Littlest Snowman With The Candy Cane Heart. AUTUMN: A personal favorite of mine. WAXY: But my point is that I hope everyone comes back next weekend when we talk about more Christmas songs. For those unfortunate to have never heard any of the songs mentioned in this column, visit YouTube and just enter the song title in the site's search box. 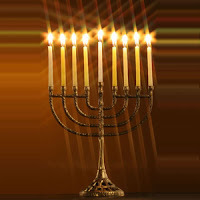 HANUKKAH: THE FESTIVAL OF LIGHTS, BEGINS AT SUNDOWN TONIGHT. December 7th marked the 225th anniversary of Delaware becoming a member of the United States, while Pennsylvania will celebrate their 225th December 12th. Meanwhile, Mississippi celebrates its 195th anniversary of statehood December 10th. *The Duke and Duchess of Cambridge have announced that they are expecting their first child, who would be third in line for the throne of England after Prince Charles and Prince William. *Republicans in the United States Senate voted against and have kept America from accepting the United Nations Rights of Persons with Disabilities Treaty, thus casting shame upon this country! *Google+ has confirmed it now has over 500 million registered users and will soon open new "communities" features within the system. *Civil unrest continues in Afghanistan, Lebanon, and Syria. *NASA's Curiosity rover has found signs of carbon based elements that compose organic life on Mars, but has yet to determine the samples origins or prove life (in any form) has ever been on the red planet. *Meanwhile, the success of Curiosity has spurred NASA to plan a sequel Martian probe, with a tentative launch projection of 2020. *The twin GRAIL probes mapping the moon have revealed deep cracks, additional craters, and tectonic structures previously unknown to scientists. *Originally launched in 1977, the Voyager 1 space probe is on the outer edge of our solar system and prepared to go further into interstellar space. *The 2012 inductees into the Kennedy Center Hall of Fame are late night talk show host David Letterman, the group Led Zeppelin, blues musician Buddy Guy, and ballerina Natalia Makarova. *Jazz composer and pianist Dave Brubeck has passed away at age 91. *The New Orleans Hornets will officially change their name to the New Orleans Pelicans, in honor of the Louisiana state bird as of the 2013-14 professional basketball season. *Professional basketball player Kobe Bryant scored his 30,000th career point earlier this week. Welcome back everybody, as we continue our annual Christmas enigma tradition here at the Puzzle Corner. Now, everybody has their favorite Christmas carols, and we can debate until the egg nog turns warm and the Christmas cookies crumble as to who performed the best version of a specific tune. Several are listed below, but do you know who WROTE your favorite Christmas carol? We'll reveal all next weekend. But for now, let's open THE ANSWERS BOX and discover the results from the December 1st Puzzle Corner. All of the above were stop-motion animated Christmas Specials produced by Rankin-Bass. With the Christmas season upon us, people everywhere are scrambling to not only find the "perfect" gift(s) for their loved one(s), but presents that they can afford as well. 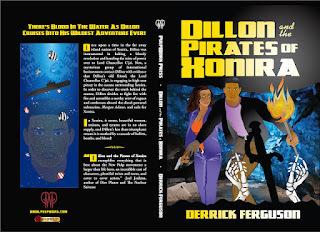 To me, there is nothing more interesting than a good book, so lets look at some of the offerings within the New Pulp genre. NOTE: These suggestions are just based simply upon my own personal tastes as an avid reader. I have either already read the books below or want to read them, as noted within the individual listings. 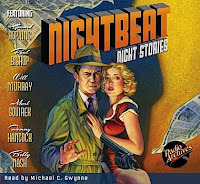 Radio Archives has released an impressive anthology featuring Night Beat, an old time radio series about Randy Stone, a reporter who worked the graveyard shift for The Chicago Star. 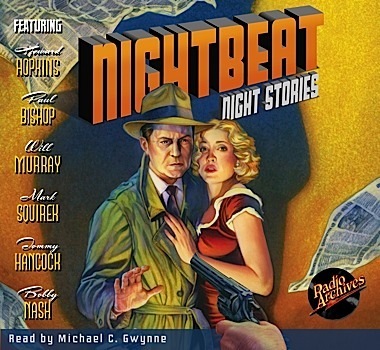 Featuring the talents of the late Howard Hopkins, Will Murray, Paul Bishop, Bobby Nash, Tommy Hancock, and Mark Squirek to create six interesting short stories that are available in both print, e-book, AND audio format! 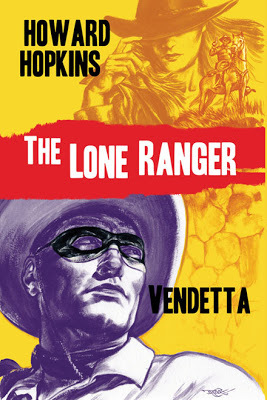 Also by the late Mister Hopkins is The Lone Ranger: Vendetta a novel featuring the masked rider of the plains and his faithful Indian companion that is more true to the legend and what has come before than that movie Disney is filming with Johnny Depp as Tonto is rumored to be. My status: want to read it. Sinbad: The New Voyages is an anthology featuring the Arabian Nights sailor with a new crew in stories that harken back to the days of Ray Harryhausen's talented special effects long before computer generated graphics. Featuring the talents of Nancy Hansen, Ian Watson, and Derrick Ferguson. My status: read and loved it! When will volume 2 be released? 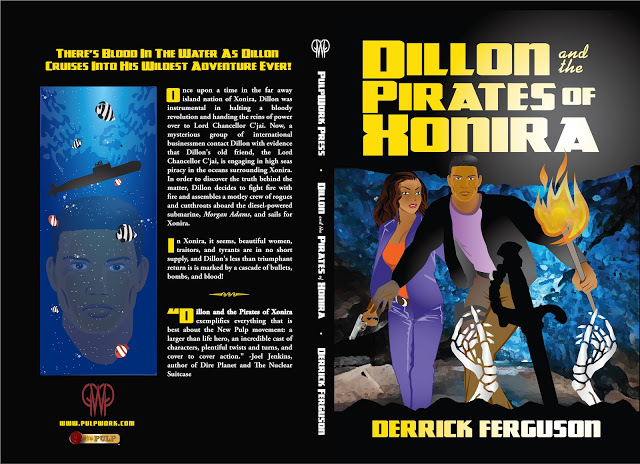 Derrick Ferguson's Dillon and the Pirates of Xonira, the latest book in this series, has the soldier of fortune going to check on an old friend who might be up to no good now, provided Dillion lives long enough to discover the truth. 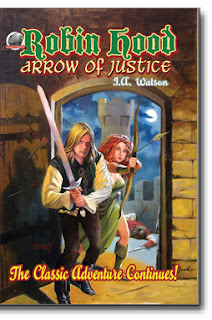 I have read and loved the first two books within Ian Watson's Robin Hood trilogy: King of Sherwood and Arrow of Justice. While the conclusion is not due until 2013, I am seriously looking forward to it and wonder if the rumors that Watson's next project will be exploring the legend of King Arthur and the Knights of the Round Table are true? My status: read and recommended! Meanwhile, the second book in Chuck Miller's Black Centipede series was recently released, and Blood of the Centipede has been earning rave reviews! 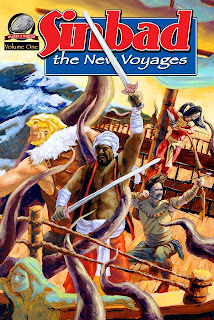 While I will be the first to admit that it is difficult to describe the title character and what happens to between this volume and the previous book: Creeping Dawn: The Rise of the Black Centipede; that adds to the charm of the series! My status>Creeping Dawn: read and recommended! 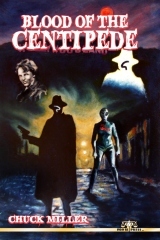 Blood of the Centipede: want to read it. planet decades after Humanity has reached for the stars. 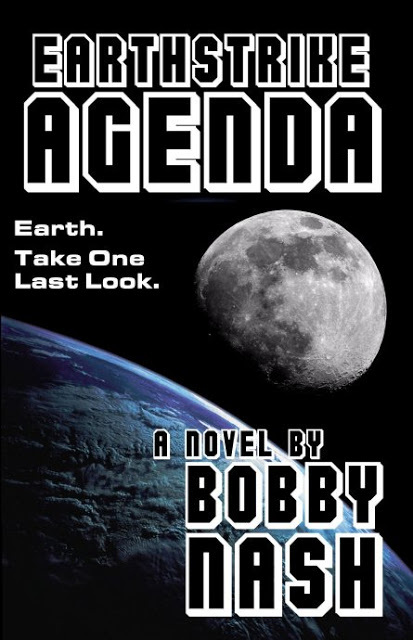 Now the last of mankind must fight an alien race for ownership of the world. My status: want to read both. 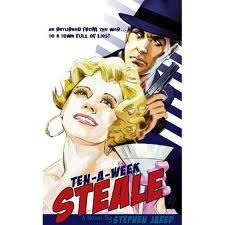 Another hard boiled detective novel is Ten A Week Steale, by Stephen Jared. A veteran of World War 1 comes home to Hollywood and the fledgling movie industry, only to get caught in political intrigue and the love of a rising starlet he might lose, if he isn't killed first. My status: read and recommended. 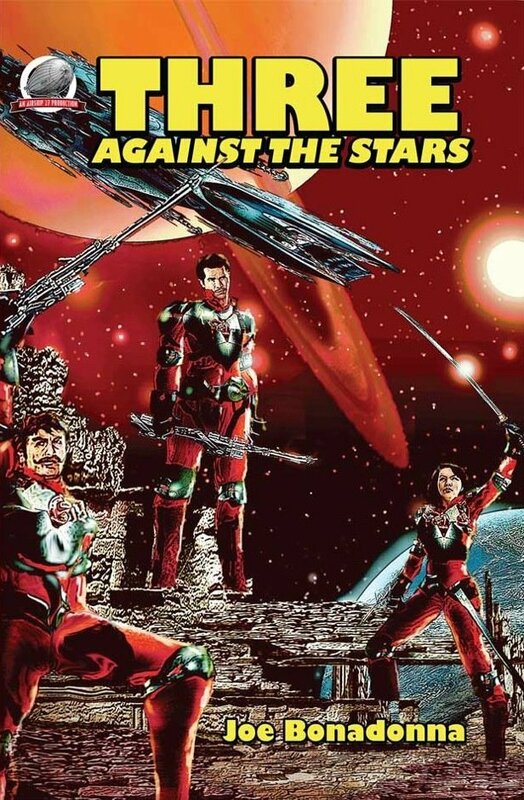 For those who remember such series as Tom Corbet: Space Cadet, Flash Gordon, Buck Rodgers and company, comes Three Against the Stars by Joe Bonadonna. A trio of space marines are the only thing that stand between an evil empire wanting to overthrow a peaceful regime to achieve their own agenda. The Golden Age by Jeff Deischer unites all the Standard/Better/Nedor comic book characters in a new prose adventure set during World War 2. 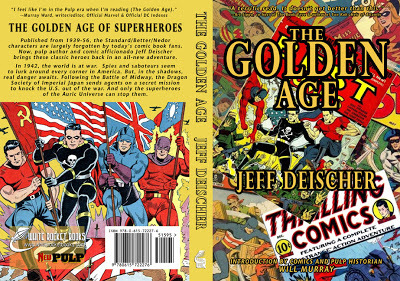 For fans of either the original Justice Society of America, or the work of Roy Thomas between DC's All Star Squadron and/or Marvel's Invaders, this is the novel for you! 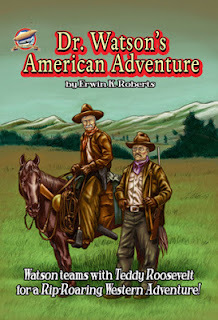 Occurring while Sherlock Holmes was presumed dead after that fateful encounter with Professor Moriarty at the Reichenbach Falls, Doctor Watson's American Adventure by Erwin K. Roberts finds Holmes' friend exploring a new (to him) land and discovering himself as well. Of course, there are all kinds of books within the New Pulp genre, which is reviving the fast paced, action/adventure format of the past with new tales of both classic characters and brand new creations. 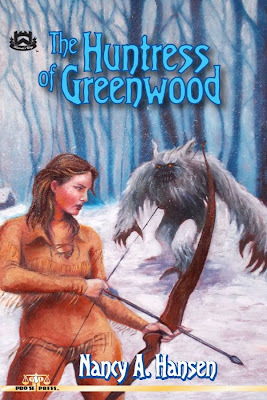 A couple of other releases that you might have heard about this past year are Tales of the Vagabond Bards and The Huntress of Greenwood by Nancy Hansen, and another superhero adventure: Project Alpha by yours truly. But please remember, the above are only the suggestions of an avid reader. Hello Everybody. Ms Waxy Dragon here. 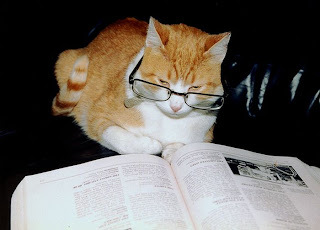 Now, after dragons of course, I feel cats are the smartest animal in the world. Don't worry, humans and dogs are in my top five. "Tabby, or not tabby. That is the question." 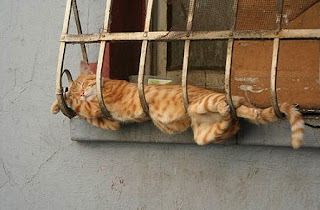 Seriously, cats are really smart. After all, how many felines do you know that can actually read? "Push any button to continue? Which is ANY button?" And they also know how to operate a computer, but I will admit that some of them still have problems dealing with the mouse. "Guess what you got in mail today?" 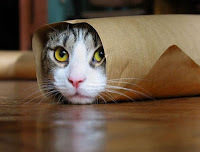 And as you can see between these two pictures, cats are great at playing hide and go seek, although they definitely prefer hiding to seeking, unless they're looking for food or a good place to curl up for a nap or a hug. "Please wake me up in time for dinner." And when they do decide to sleep, the cat doesn't take up much room, because they can sleep literally anywhere. Have a great week everybody, and please be back next weekend for more Sunday Funnies!-wd.